Dynamic, modern, and highly learner-centred, we acknowledge all of our students as valued leaders of tomorrow, whose education and success are most paramount to our institution. 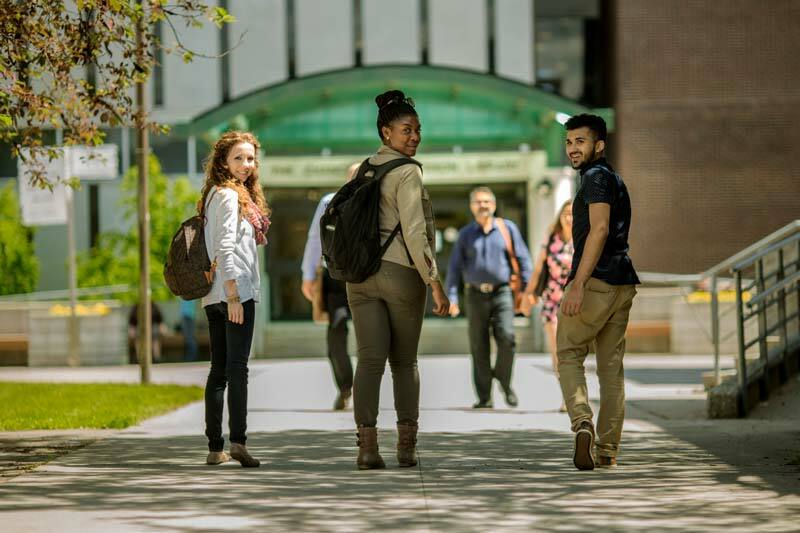 Lakehead University has approximately 9,700 full-time equivalent students and 2,000 faculty and staff in 10 faculties at two campuses in Orillia and Thunder Bay, Ontario. Both campuses promise the total university experience: a blend of academic excellence and opportunity with a rich variety of social and recreational activities. We also promise excellence in research; Lakehead is the proud host to nine Canada Research Chairs and revolutionary facilities such as our world-renowned Paleo-DNA Laboratory and our Biorefining Research Institute. Lakehead is a fully comprehensive university: home to Ontario’s newest Faculty of Law in 44 years, the Northern Ontario School of Medicine, and faculties of Engineering, Business Administration, Health & Behavioural Sciences, Social Sciences & Humanities, Science & Environmental Studies, Natural Resources Management, Education, and Graduate Studies. Maclean’s 2019 University Rankings place Lakehead University among Canada’s Top 10 primarily undergraduate universities and in 2018, Research Infosource named Lakehead its Research University of the Year in its category for the fourth consecutive year. Located on the north shore of Lake Superior, under the protective watch of the Sleeping Giant, Thunder Bay is rich in people and resources, and connects Northwestern Ontario to the world. They value our high quality of life and promote a clean, green, beautiful and healthy community that provides economic opportunity, respects diversity and provides affordable and safe neighbourhoods that are accessible to all. Recognized as one of the premier outdoor recreation areas in Canada, Orillia is at the heart of Lake Country and home to boating, swimming, skiing, walking, hiking, cycling, and much more. From museums to galleries, live theatre, events, festivals, natural attractions, and superior accommodations, Orillia offers visitors the ultimate recreational, cultural, and experiential adventure.